A black bear got stuck in a tree in Manchester, New Hampshire, but was safely removed after being tranquilized. 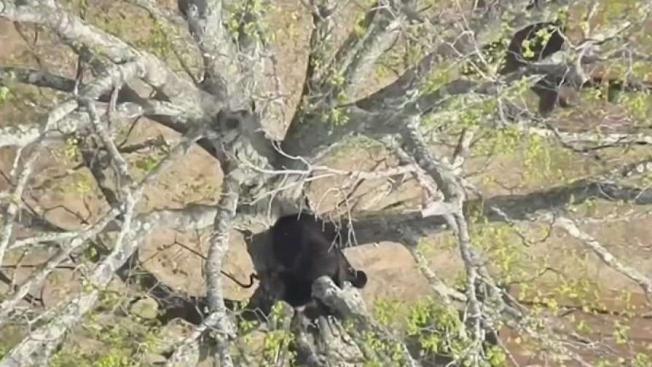 Residents were told to avoid a neighborhood in Manchester, New Hampshire, Monday morning while officials with Fish and Game worked to remove a young black bear from a tree. Police responded at 7:30 a.m. to Saint Marie's Child Care Center, where the bear was seen on a tree limb overlooking a playground. Students nearby were told to shelter in place. 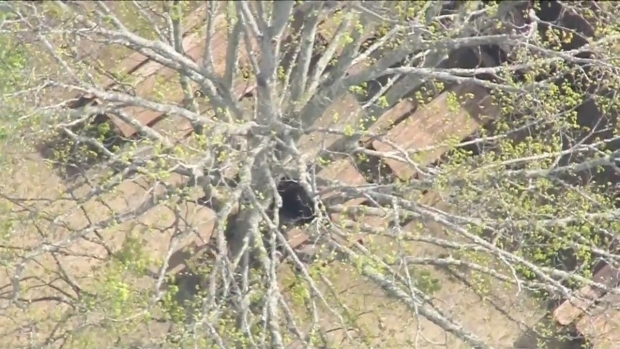 Sky Ranger captured footage of the 115-pound male bear, thought to be 1 or 2 years old, in the tree near Notre Dame Avenue and Wayne Street. Fish and Game officials tranquilized the animal in order to get it down safely. The bear fell onto another branch but remained in the tree. Officials with New Hampshire Fish and Game worked to remove a bear from a tree in Manchester on Monday. A net was already in place around the tree for the animal's protection. Officers had to push the bear onto the net. The bear is safe, officials say. It was taken to live in the Lakes Region. In July 2016, a fast-moving black bear evaded authorities in Manchester after they chased it through the city. The bear was first spotted on Interstate 93 and then made its way up a tree. It made its way down as conservation officers tried to capture it. The bear then hopped a fence and took off running.